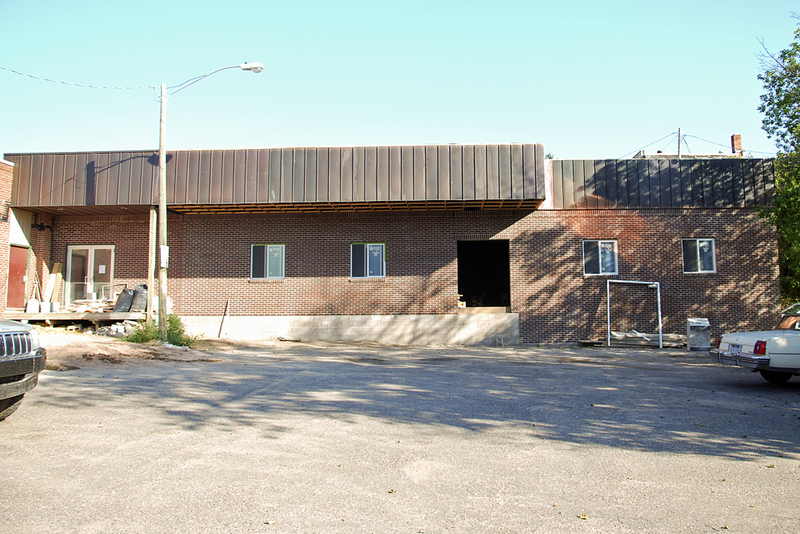 Vollworths Company has enlarged their building to accommodate increased product line production. The enlargement is mostly completed by December. 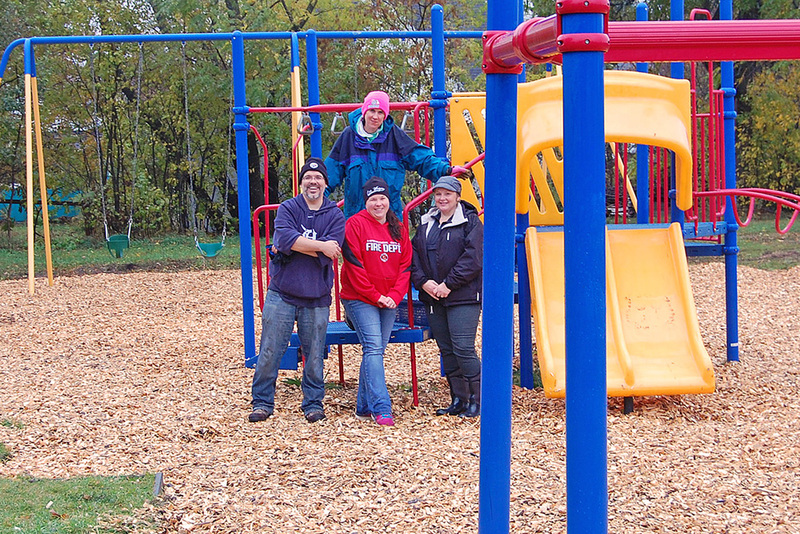 Saturday, October 24th, was Make A Difference Day, and volunteer crews were out in Hancock to do exactly that. 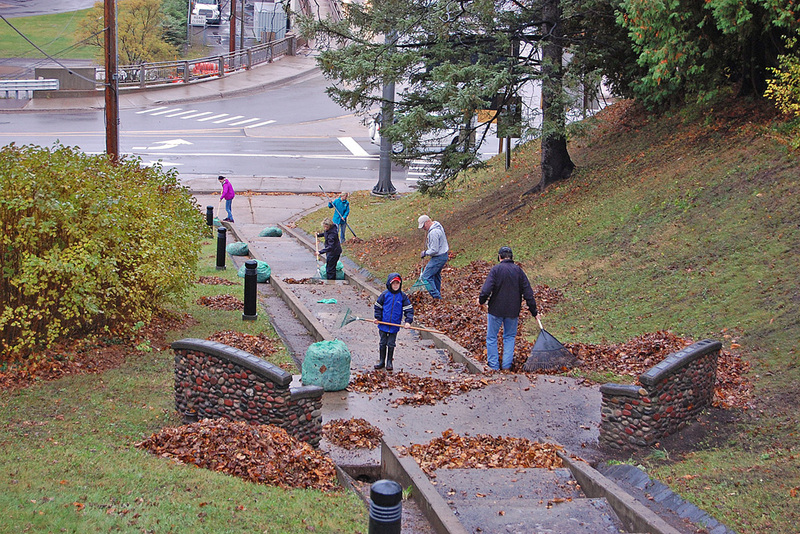 At the Laurn-Grove Park and Ice Rink, they swept up leaves and otherwise tidied up the area. Another group cleaned up at the East Hancock steps, just north of the Portage Lake Lift Bridge. Thanks to all the volunteers who came out to Make A Difference. (Photos courtesy of John & Maggie Haeussler). 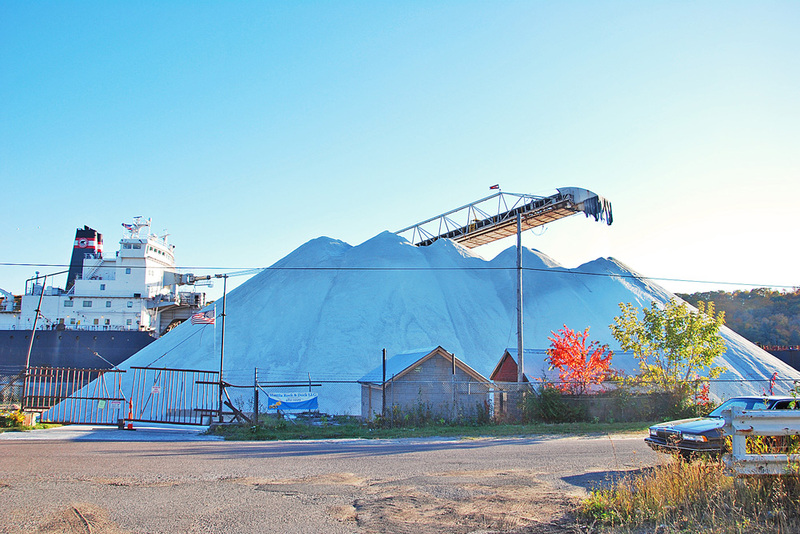 This years area supply of winter road salt, arrived in Hancock at the Mattila Rock and Dock Facility, on Oct. 14th. After tying up, the unloading proceeded to begin off loading. 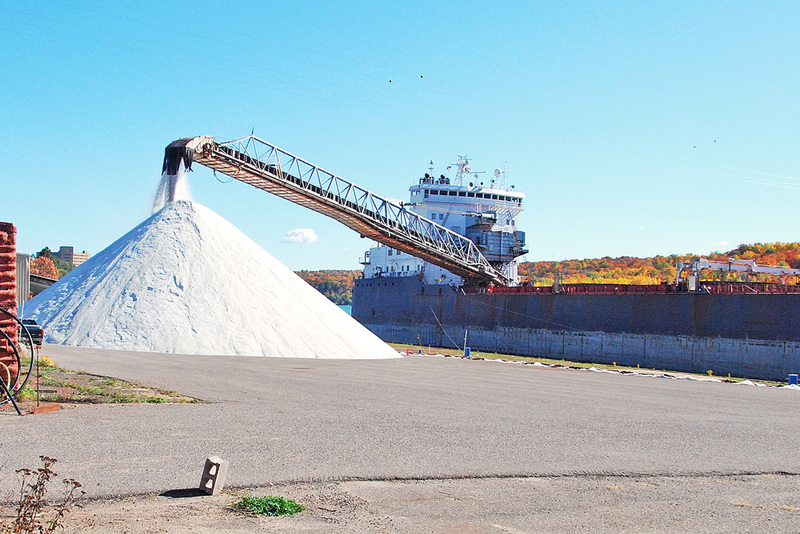 The vessel is the Algoma Transport, 728 ft. in length. The one shipment brought in 21,000 tons, some 10,000 less than the shipments (2) of last Fall. The vessel departed after 6 hours of unloading. 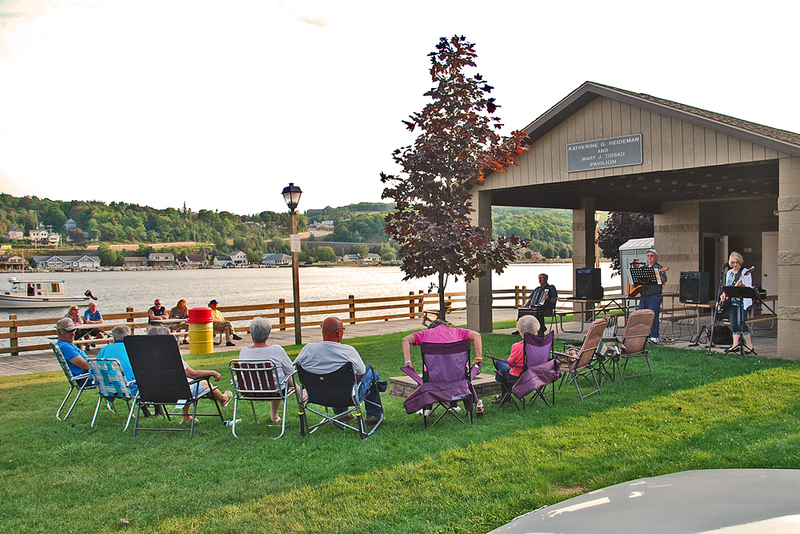 The Polka Drifters play for a casual Friday evening concert, at one of the summer Friday Night Waterfront Music, Canal Rock 2015 venues. 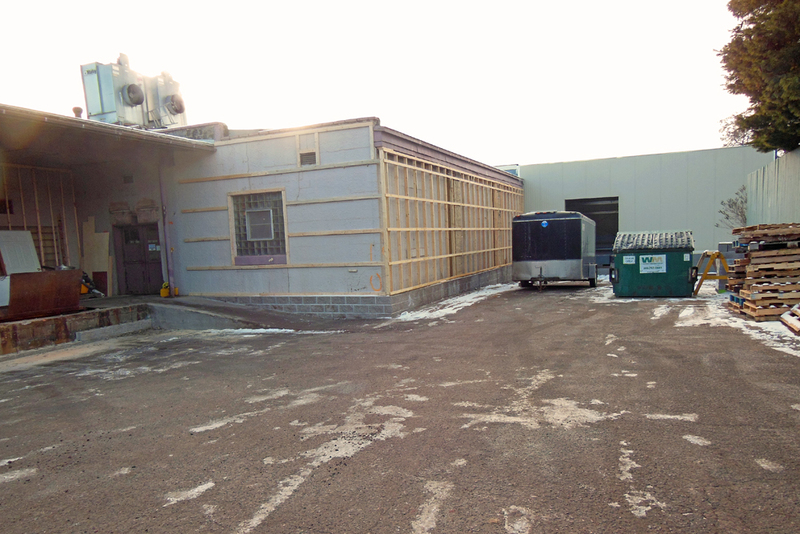 World of Wood, on Hancock St., is undergoing an expansion of their manufacturing facilities. 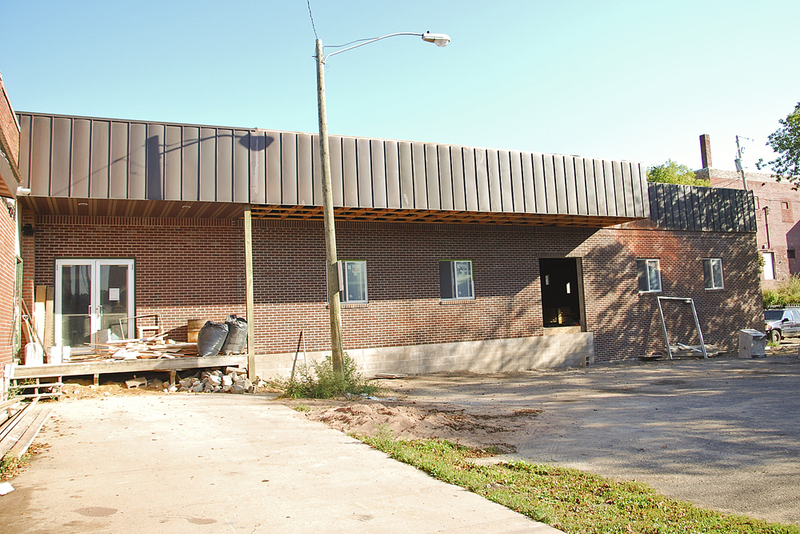 A portion of their east side lot is being used for the new wing. World of Wood fabricates a variety of wooden items for home and businesses. 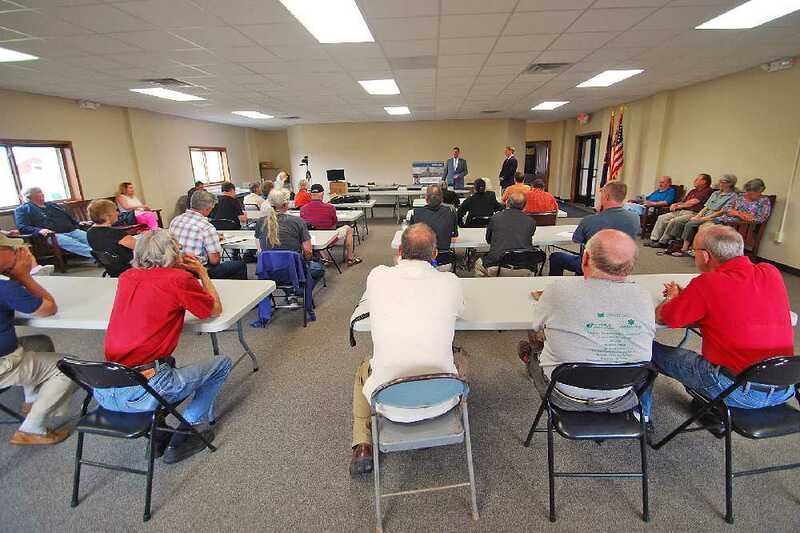 A special Town Meeting, hosted by State Representative Scott Dianda (D-110th Dist.,Calumet), to hash out high electric energy costs in the U.P., and to find ways to reduce those costs, was held at the new Franklin Township Offices & Meeting Hall on Quincy Hill recently. (L) MI State Representative Scott Dianda, (110th. D, Calumet), and, Tim Greimel , Mich. House Minority Leader. 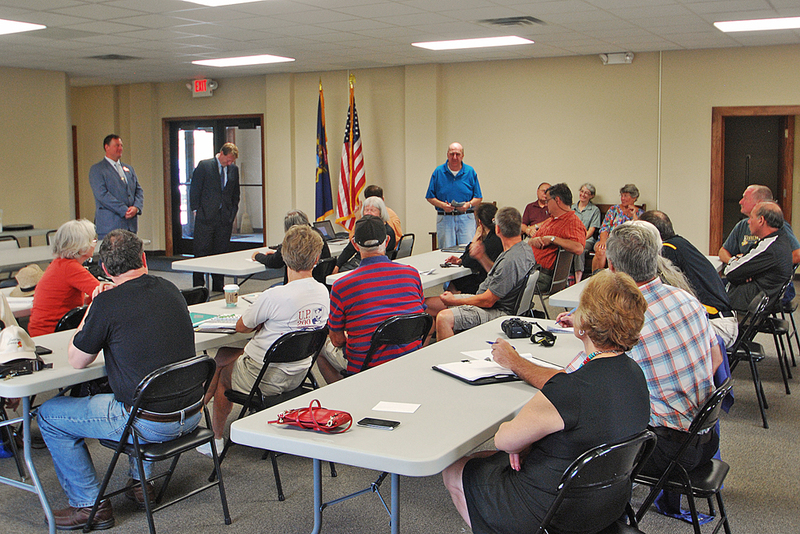 Calumet Township Supervisor Paul Lehto makes several points during the discussions. 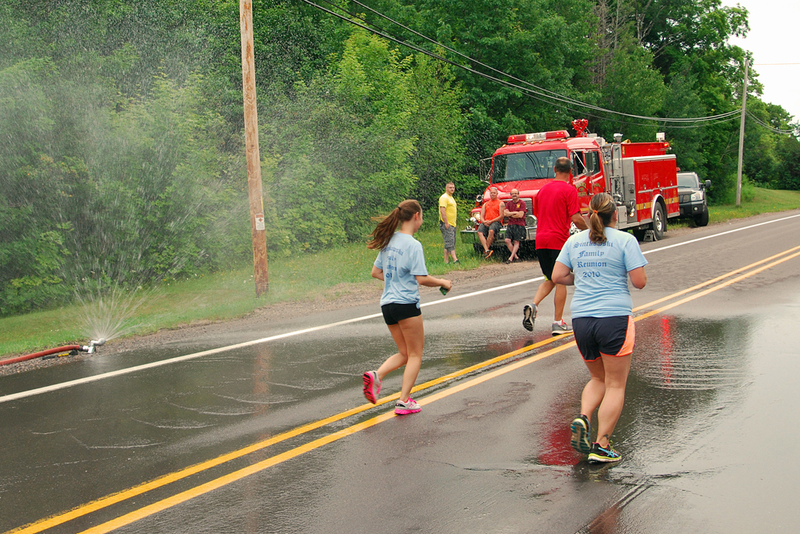 The Hancock Fire Department uses a fire truck to supply a water spray cool off for the 2015 Canal Run. 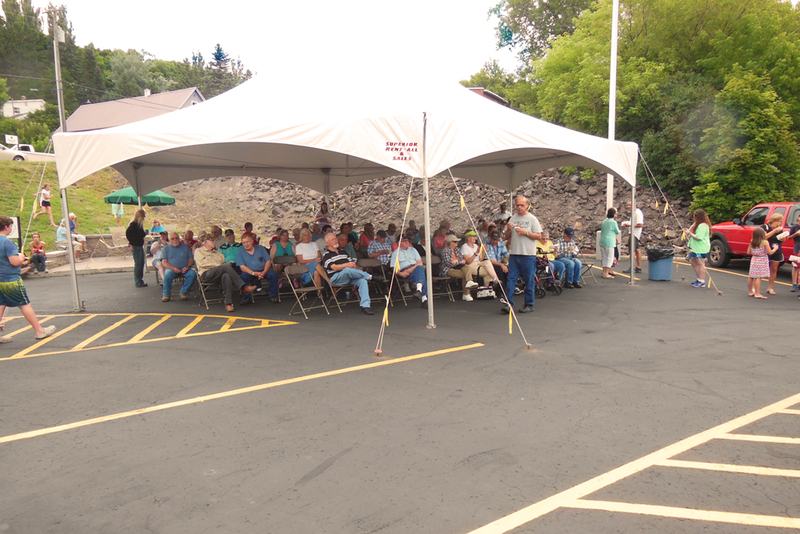 Superior National Bank celebrated 125 years of banking service to the area, in July. Celebrating on a Friday, in their parking lot on Quincy St.. 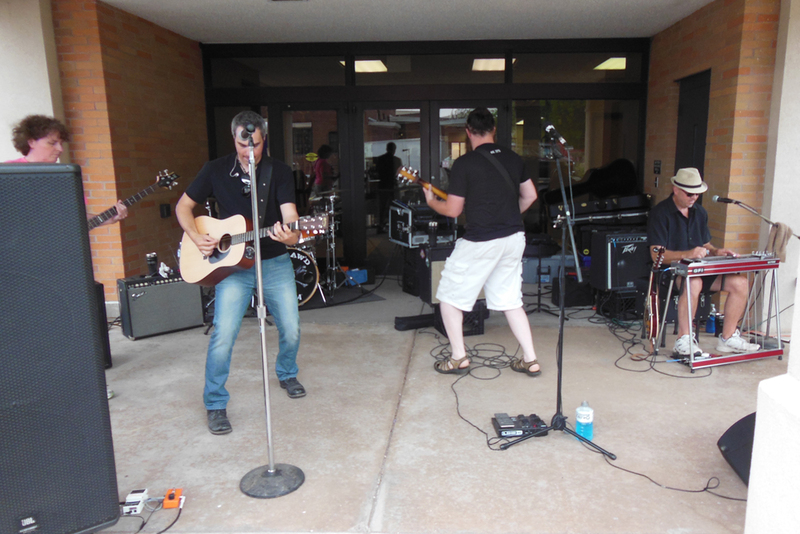 The Outlaw’d Band played for visitors and crowd enjoyment, throughout the afternoon, with refreshments of various kinds free to all. Although a few drops of rain came occasionally, the tent provided cover, later, from the sun, as things cleared up. 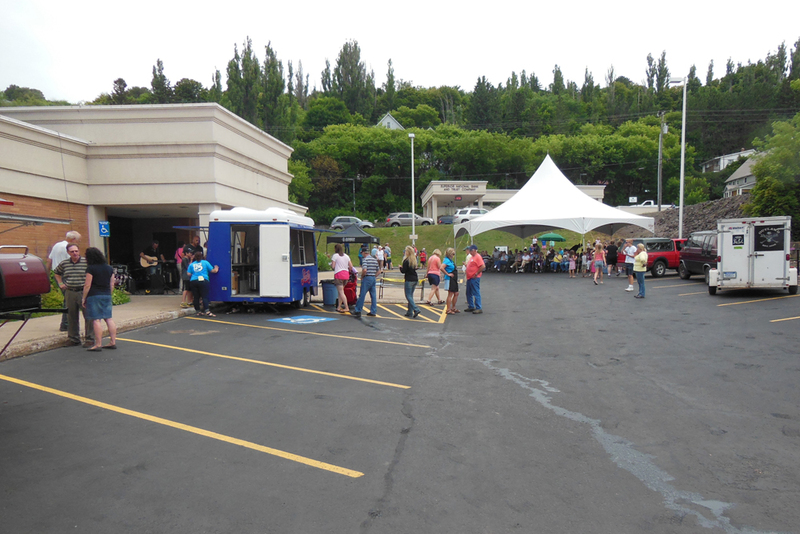 Congratulations to Superior National Bank, of Hancock. 125 years and counting. 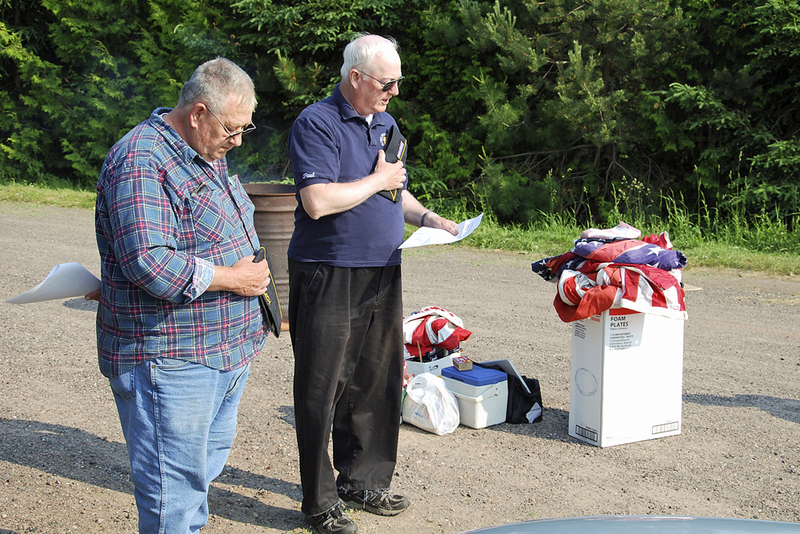 The first Wednesday in July was designated Flag burning time for Alfred Erickson American Legion Post 186. Here, Post (Outgoing) Commander Dan Watrous, Sr., and Post Chaplain Paul Nelson, say a prayer as part of the Ceremony, prior to destroying the many Flags brought in over the past year. 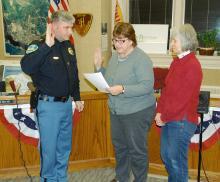 This coming year’s new Post Officers are sworn in. 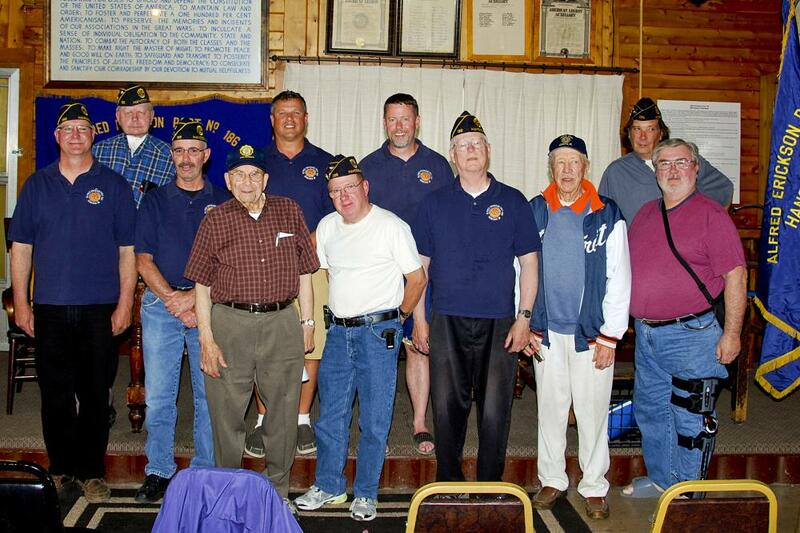 Front row(L_R): Ron Olsen, Commander; Rod Guilbault, Senior Vice Cmdr. ; Bob Veeser, Installation Officer; Phil Verville, III, Trustee; Paul Nelson, Post Chaplain; Don Kolehmainen, Service Officer; Frank Taucher, Judge Advocate. Back row(L_R): Roland Burgan, Historian; Gerry Harry, Jr. Vice Cmdr. ; Jim Peterson, Public Relations Officer; Dan Watrous Jr., Adjutant. 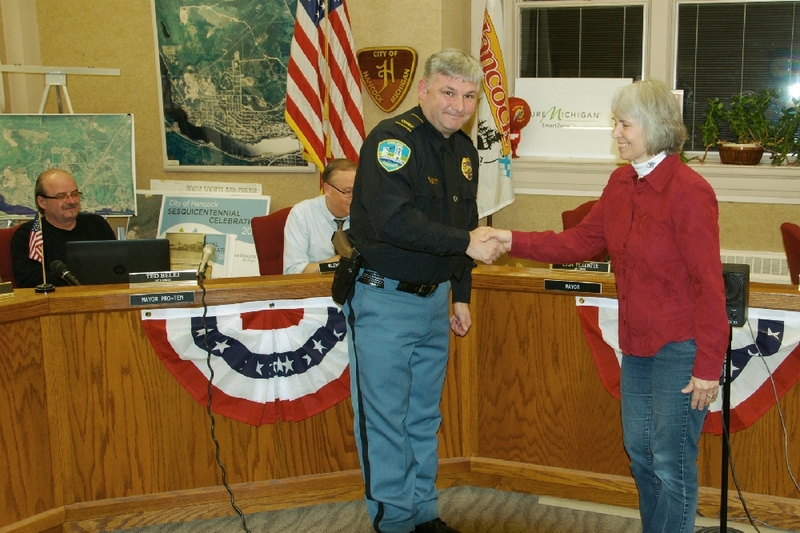 Officers were installed on July 1, 2015, for the 2015/16 year, following the annual Flag Burning Ceremony and Meeting. 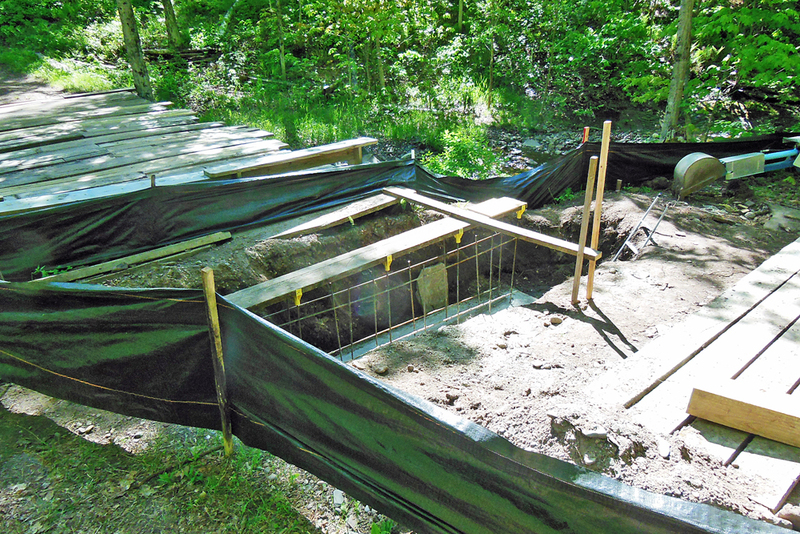 A new ‘middle bridge’ is awaiting installation in the Hancock Maasto Hiihto Trail Swedetown Gorge. 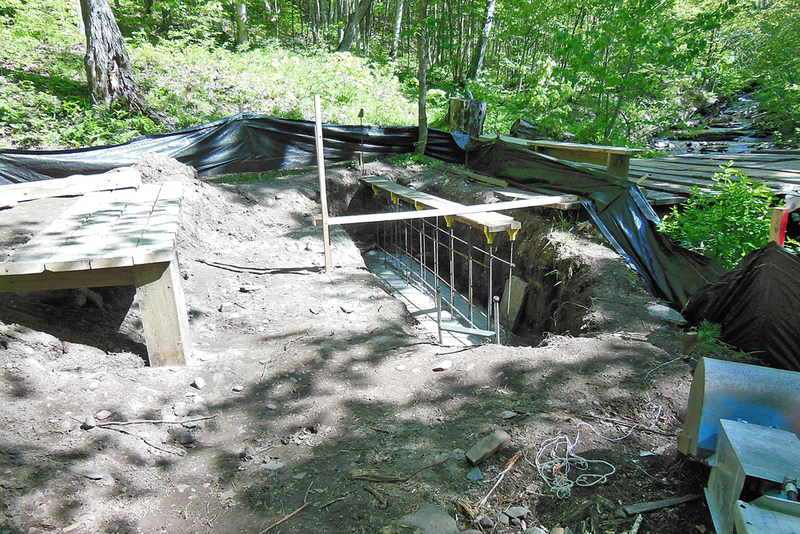 Keweenaw Nordic Ski Club members are in the initial process of building new concrete end supports, for the all steel I beam undercarriage that will then support heavy wooden beams for traffic. The overall cost is about $30,000, half of which will be borne by the City, the other half by the Club. Fund raising is continuing to help pay for this update. See the beginning of this pictorial for their Club Web link. It is hoped thing will be completed by the end of summer. 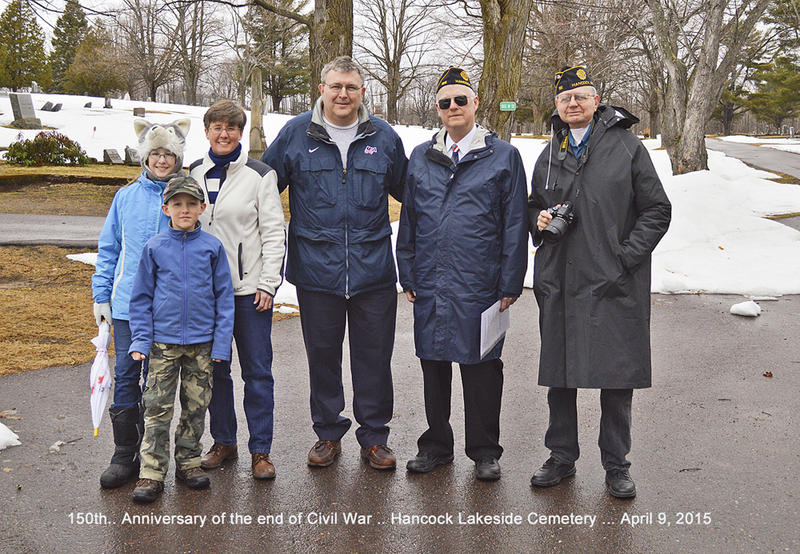 The 150th Anniversary of the ending of the Civil War, was observed on April 9th, 2015, at the Hancock Lakeside Cemetery. 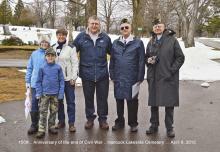 This group of interested persons included John Haeussler and family, Dr. Paul Nelson, Chaplain of Post 186, Amer.Legion, and Roland Burgan, City Photographer, also a member of Post 186, who raised and lowered the Flag for the occasion. 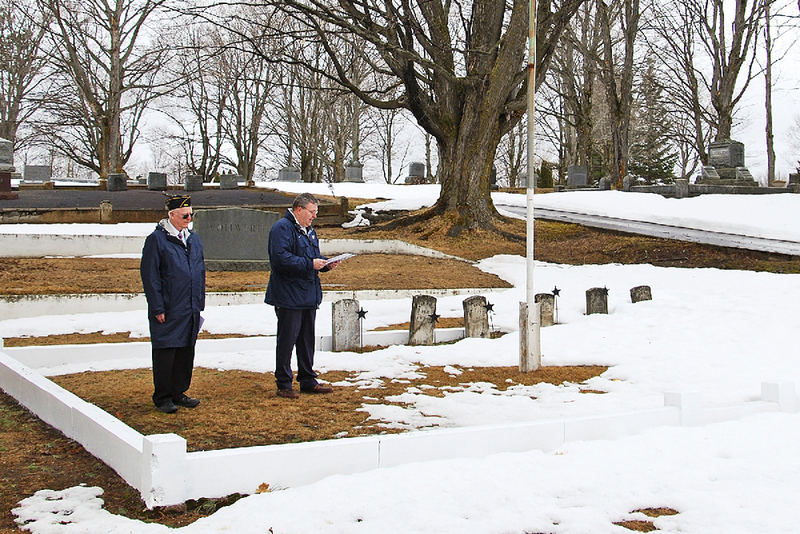 With Chaplain Nelson looking on, Haeussler reads the background, and the known names of the Civil War participants buried in the City’s Grand Army of the Republic (GAR) section. 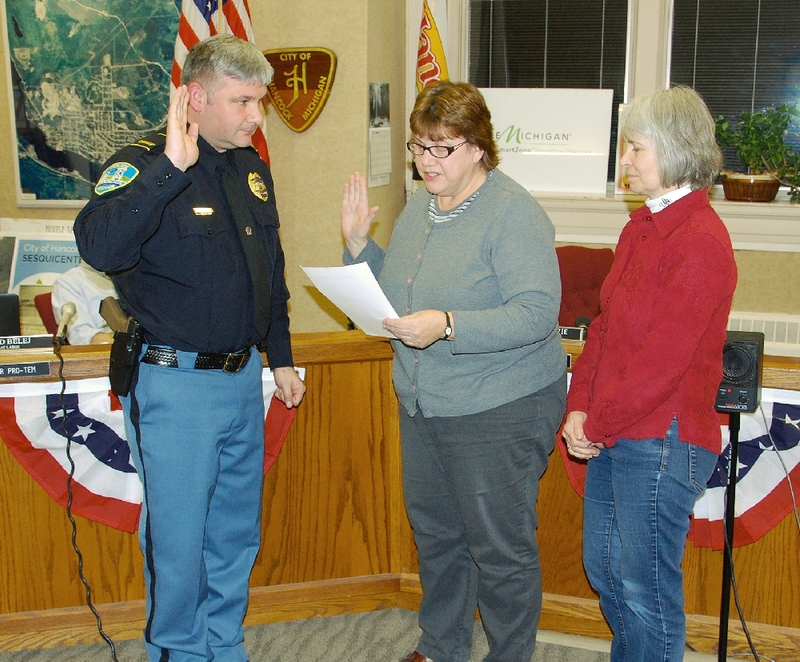 Hancock’s new Police Chief, Wayne Butler, is sworn in at a recent City Council meeting, by Hancock Clerk/Treasurer Karen Haischer, with City Mayor Lisa McKenzie as a witness. 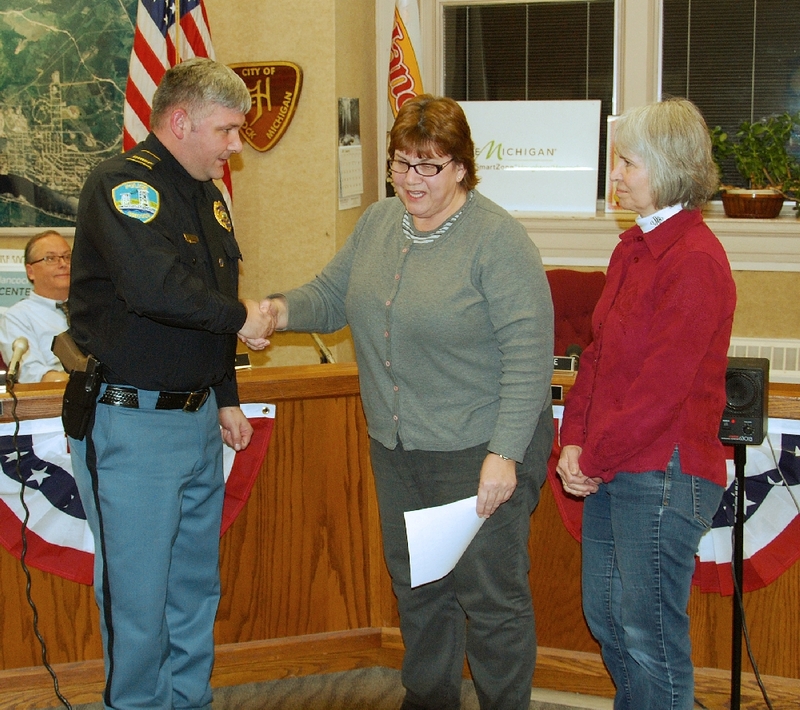 Our new Chief is congratulated by Haischer. And by our Mayor, Lisa McKenzie. 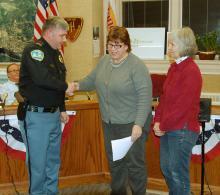 Congratulations to our new Police Chief, Wayne Butler. The Civil War Ceremony group photo was supplied by the National Park Service. Our thanks to Robert Holmstrom, NPS.